Anyone who’s seen American Pickers knows that tin signs are highly collectible and can become extremely valuable. 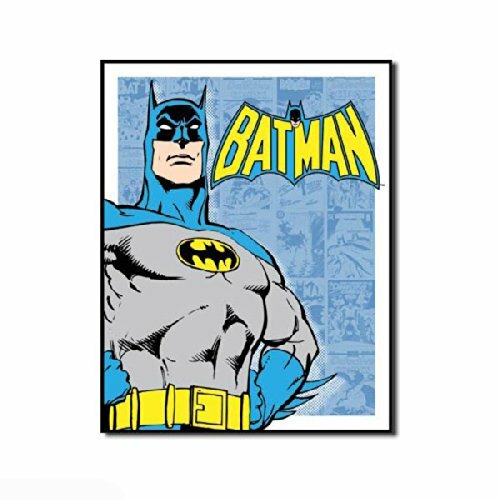 These Batman and Superman Vintage Tin Signs are available from Amazon and have that sixties look that would be perfect in any man-cave. They’ve also got Green Lantern, Spider-Man, Captain America, and more, so check out the links and get to buyin’. Daniel Beyfuss believes the Earth is being visited by extra-terrestrials and Bigfoot is real. As a child he foolishly played with his action figures and gave all his comic books to his rotten cousin Norman. He is the soon to be famous author of several unwritten books and will write anything you need written for five dollars.